Hi friends! 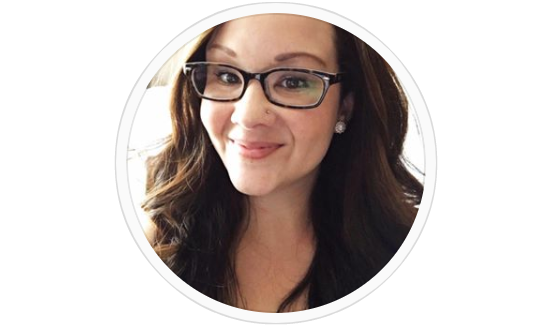 It’s this week – THIS WEEK! Can you believe that Christmas is this week? 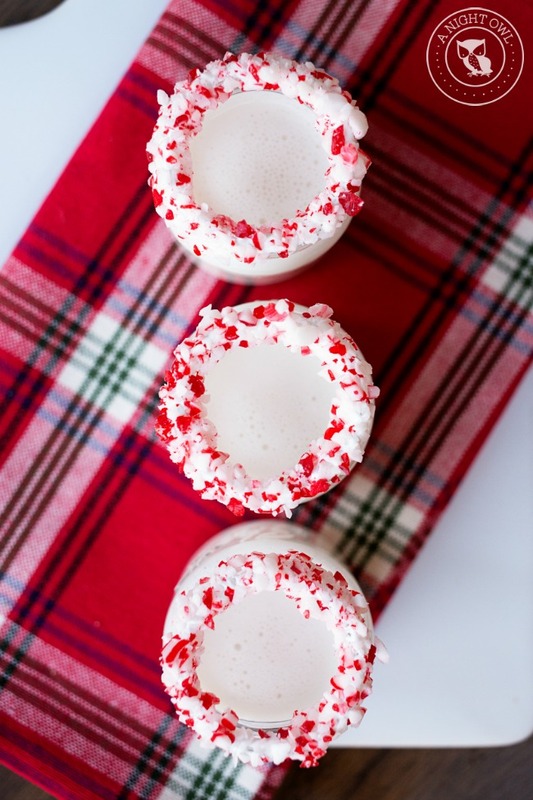 Well if you’re not feeling completely festive yet, today we’re sharing some Candy Cane Shooters that are sure to get you in the holiday mood! Remember the Pumpkin Pie Shooters that were such a HIT a couple of months ago? 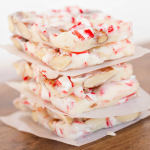 Well I decided to create something similar with International Delight this month and boy are they are yummy! The great thing about these little shooters are you can make them with or without alcohol. The boozy shooters are PERFECT for your holiday and winter festivities, I mean a little goodness will help get you through all those parties, right?! 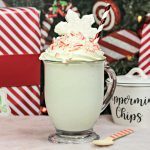 They’re fun and unexpected and with the crushed peppermint rims, a little taste of candy cane in each shot! But if you’re not a fan of the bottle, leave the white chocolate liqueur out and they’re still SUPER fun and yummy! We tried both for you – just to make double sure. Dip the top of your shot glasses in marshmallow fluff until the rim is coated. 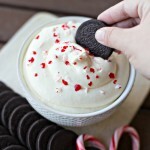 Dip the coated rim in crushed candy cane until marshmallow fluff is completely covered. 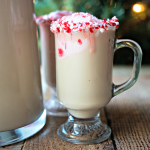 Add the peppermint mocha creamer, half an half and white chocolate liqueur to a cocktail shaker and shake until combined. 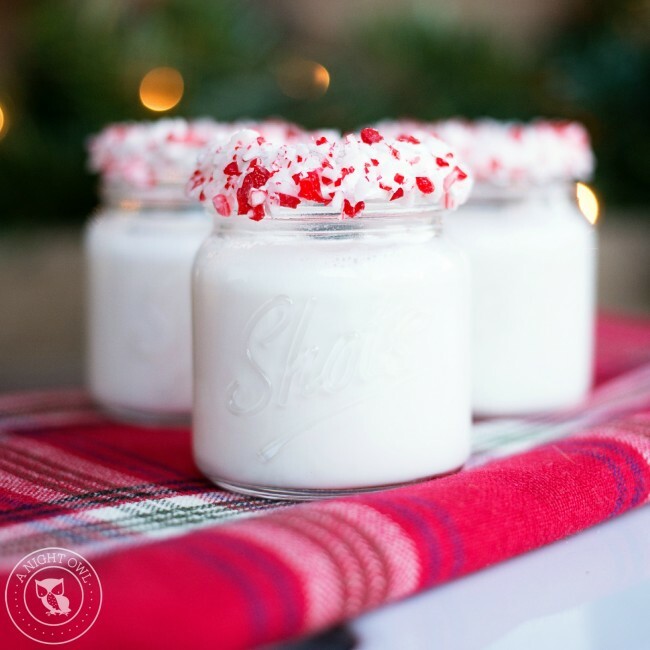 Pour shots into candy cane rimmed shot glasses. Mason Jar Shot Glasses: Now you could serve these shooters in any shot glasses, but aren’t these just the cutest?! Mason Jar Cocktail Shaker: This is one of my favorites! Goes perfectly with your mason jar shot glasses, too! Casserole Dish: This dish fits perfectly in the Instant Pot! It’s a great piece to have in your kitchen for all the Instant Pot casseroles! A taste of the holidays in each shot! 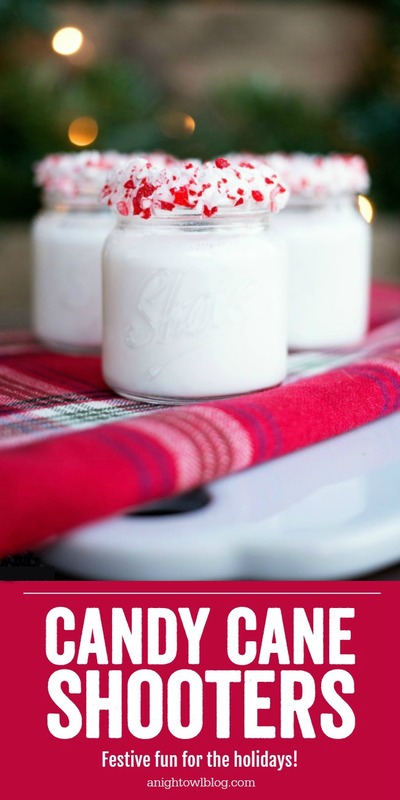 These Candy Cane Shooters are delicious and can be made with or without alcohol! Looking for a virgin version of this recipe?! Yah, we have that too. And with International Delight Peppermint Mocha Creamer it’s easy to get the same great taste without the alcohol. Add the peppermint mocha creamer and half an half to a cocktail shaker and shake until combined. These sound delicious! I’ll have to make these shooters next week for a holiday party. Let us know what you think, Kaitlyn! Can’t wait to try these!! But wherever did you get those adorable shot glasses? Can you use plastic shot glasses? Wondering if the fluff will stick? Hi Teresa, the fluff is pretty sticky – I think it will stick just fine on plastic!